Think you can find a better rate? 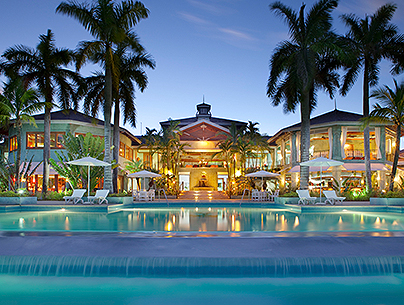 This iconic resort features its own private island, fresh new guest rooms and chic, island style. 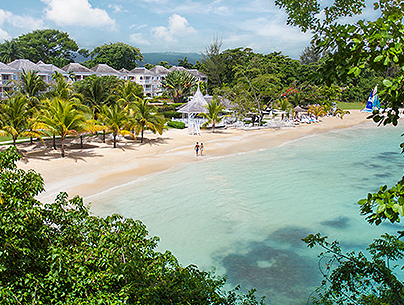 Intimate and romantic, the "Jewel of Jamaica" boasts storybook trails, secluded pavilions and old world glamour. Our most intimate property, with a treehouse spa and island vibe makes this beachfront resort a special place. 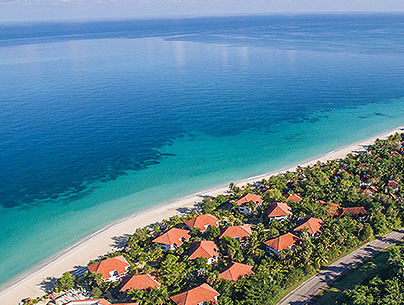 Beloved by active guests, our largest resort delights with a massive fitness complex and sunny perch on Seven Mile Beach. 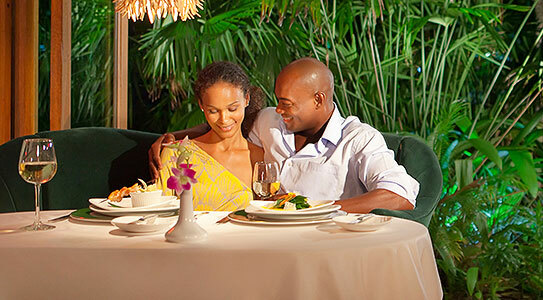 Our most intimate resort, Couples Negril is located on 18 acres on Jamaica’s sun-kissed west coast. 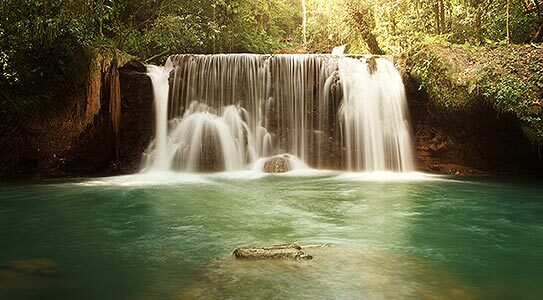 Lively and low-key, this oceanfront oasis is a favorite among all-inclusive vacation resorts in Jamaica, offering fresh, modern guest rooms, a treehouse spa and a host of guest get-togethers for mixing and mingling. All The Fun, Always Included! 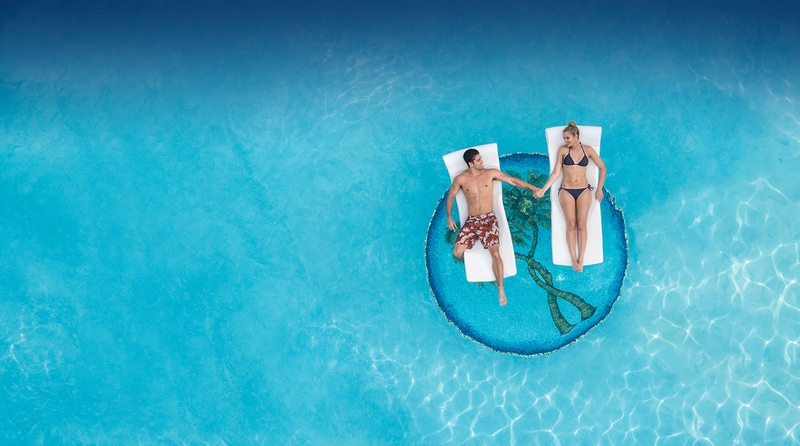 Fresh farm-to-table cuisine, signature cocktails, unmatched Jamaica excursions and unlimited golf, tennis, watersports - even scuba diving! 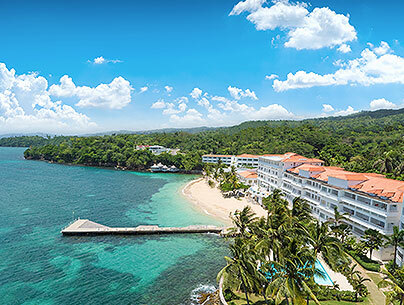 Clear your calendar and reconnect at Jamaica’s favorite all-inclusive luxury oceanfront resorts. 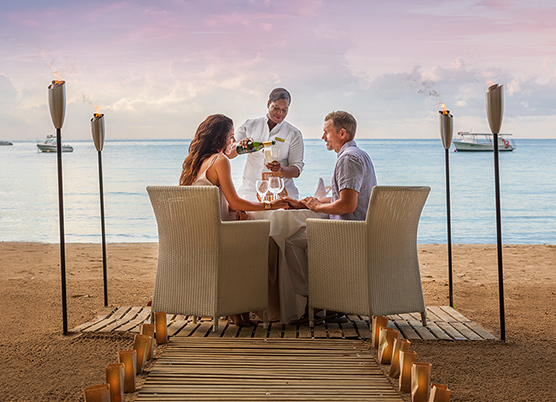 Savor Jamaican farm-to-table fare and tropical cocktails, slow dance on a moonlit beach, take a sunset catamaran cruise, and revel in a bonus night to do it all over again on us! Book Feb 18 – Apr 28, 2019. 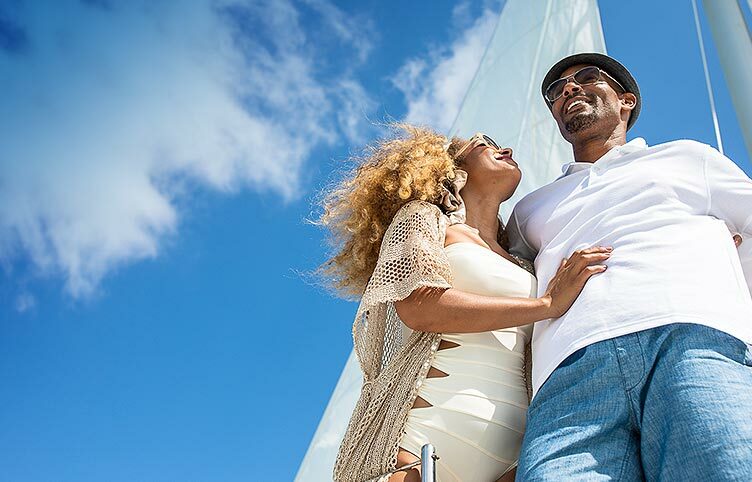 Travel to Couples Tower Isle Mar 1 – Sept 30, 2019. 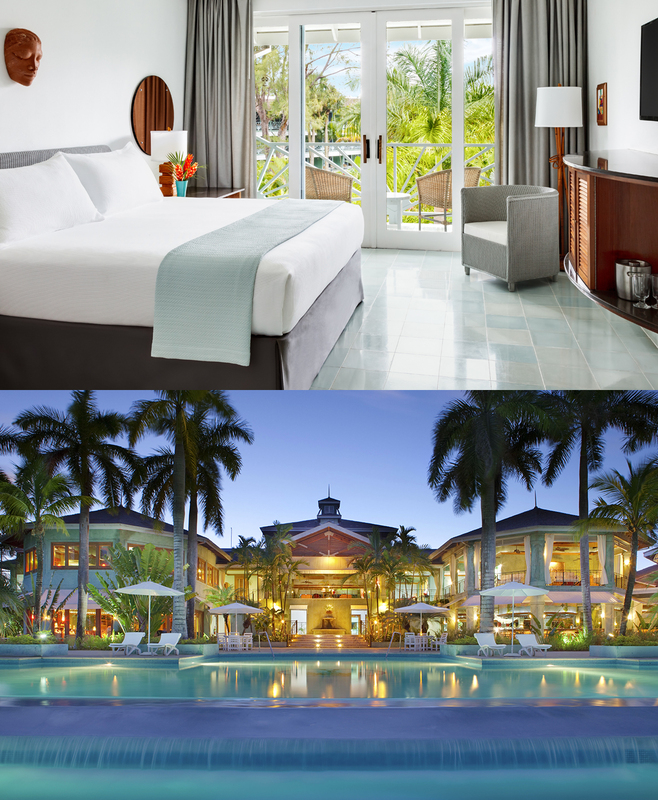 Travel to Couples Swept Away, Couples Negril and Couples Sans Souci Apr 1 - Sept 30, 2019. Minimum stay of 5 paid nights required to receive 6th night free. Rates are based on double occupancy and subject to availability. Blackout dates apply as follows: Couples Sans Souci and Couples Negril: April 4 – 12, 2019. Offer does not apply to the Oasis Spa Villas at Couples Tower Isle or the Prime Minster's Suite and Hibiscus Cottage at Couples Sans Souci. Cannot be combined with any other promotional offers outside of this promotion or substituted for similar value products or services. 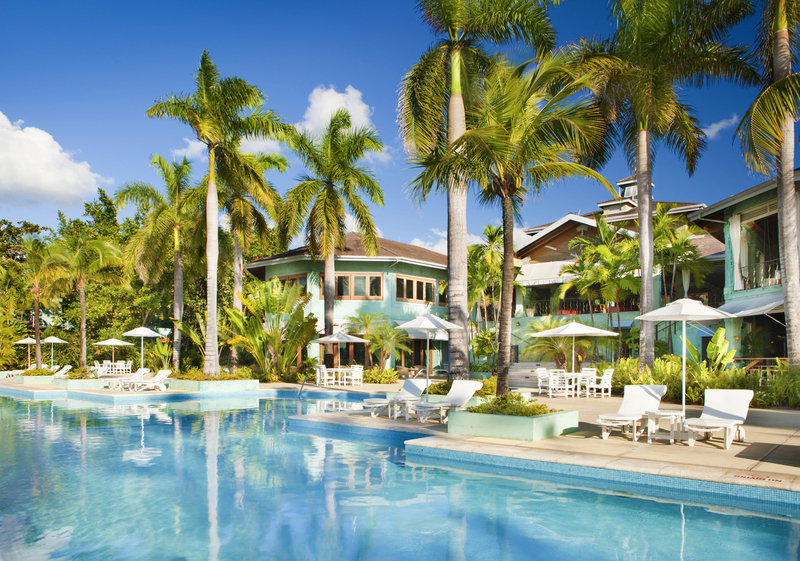 Couples Resorts reserves the right to change or cancel the offer at any time. Found a better deal elsewhere?Simply let us know, we’ll match it! Join our email list to receive exclusive offers and savings!